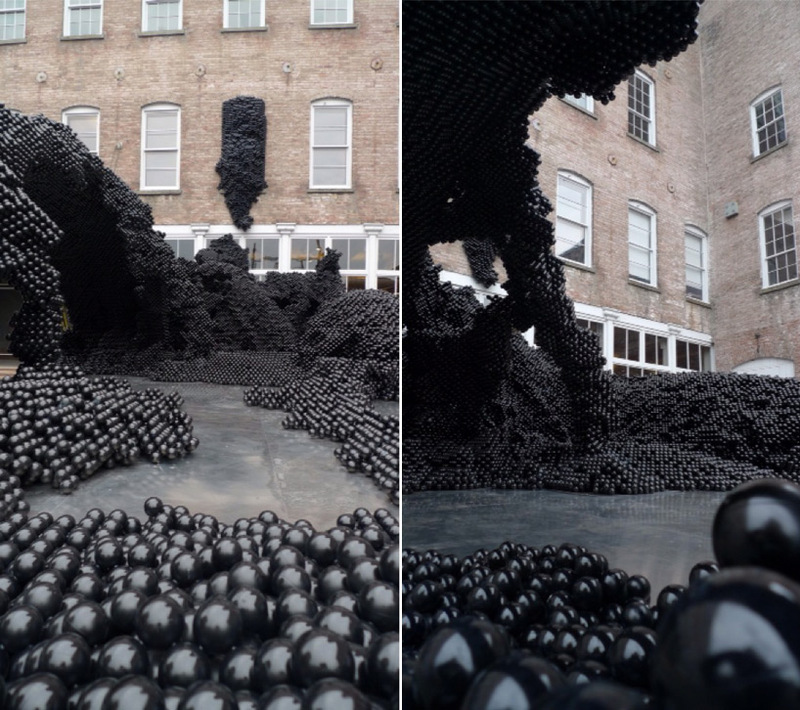 this is the site-specific sculpture by federico díaz, now on display at the mass moca. geometric death frequency-141, is as much about the process of making the work, as the sculpture itself. the piece was generated, assembled and completed without manual labor. a strange and fascinating process. diaz created the sculpture by turning digital photos of the museum's courtyard (where the piece is installed) into data which was then manipulated and rendered into a 3 dimensional sculpture. 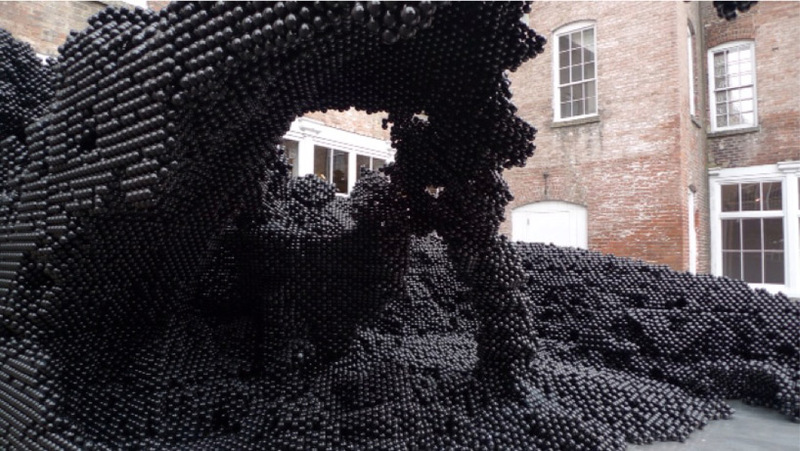 the 420,000 black spheres that make up the sculpture were milled and assembled using robotic machines. it's incredible how much form and motion this sculpture has. i love the dialogue between the space and the form, one a blueprint for the other. it's a kind of cellular replica of the space it occupies. 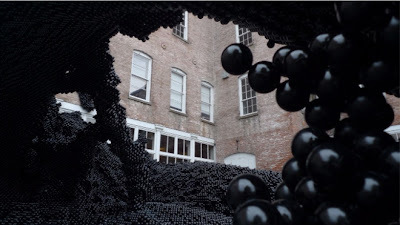 at the MASS MoCa through march 2012. i think i can make that.